Students enjoy learning about the respiratory system! 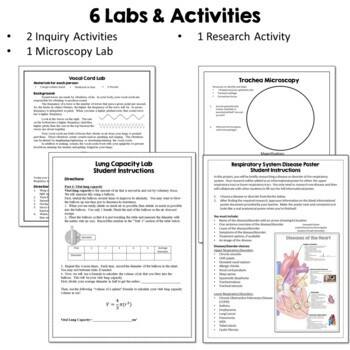 This lesson bundle is for high school Biology or introductory Anatomy course and covers topics such as lungs, trachea, bronchi, alveoli, larynx and pharynx. 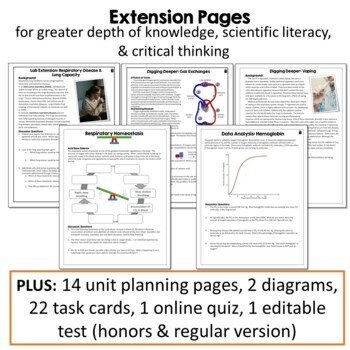 A PowerPoint, illustrated notes, diagrams, worksheets, a lung capacity lab activity, and editable quiz are all included. Answer keys for all items are provided. Need to adjust the level of detail for your class? No problem! 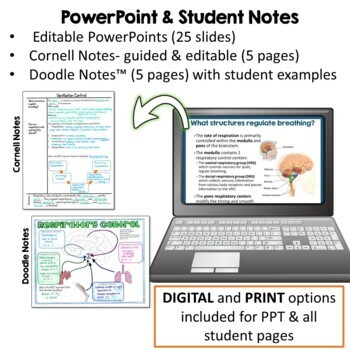 The PowerPoint presentation, diagrams, and quiz are EDITABLE. Addresses NGSS HS-LS1-2 and NGSS HS-LS1-3. Please note: This is also part of my Human Body Systems MEGA-Bundle. 3. 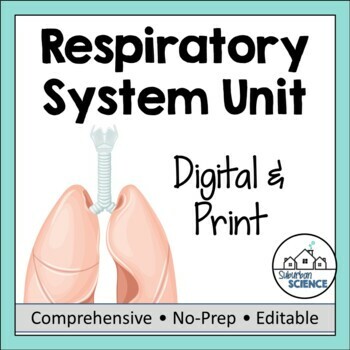 EDITABLE Diagrams of respiratory system including lungs, alveoli, sinuses, bronchi, trachea, etc. *Diagrams are provided in both 8.5x11" and 11x14" sizes, which are perfect for inserting into binders or science notebooks. 4. Lab activity in which students determine their lung capacity using a balloon. Vital lung capacity and residual volume are also calculated using simple algebra.